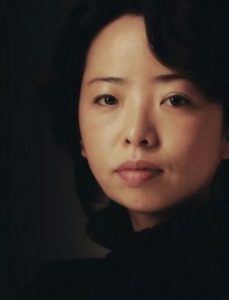 Yang Hua is the associate professor and master’s supervisor of Cheung Kong School of Art & Design (CKAD), Shantou University, where she founded the Interaction Design Studio in 2012 and is currently the director of Digital Media Art and Design. She is also the chair professor of Hochschule Düsseldorf University of Applied Sciences（Peter Behrens School of Arts), from which she graduated as MFA in 2006. Her main research interests include information design, interaction design and new media art. Her artworks have been shown in exhibitions home and abroad, and have won several international awards in the field of digital media. 《Space-Time Kaleidoscope》, projection mapping on water, invited by the International Media Competition, Korea, 2015. 《Light and shadow》, 3D projection mapping on architecture façade, invited by K20 Art Museum, Düsseldorf, Germany, 2016/2017. 《Flowers On The Riverbanks》, out-door light show for a folk song concert, committed by Li Ka Shing Foundation, Shantou, 2016. 《3D Projection Mapping On Chaoshan Architecture》, invited by Bi-City Biennale of Urbanism\Architecture, 2017/2018. 《 Shan Melodies from Teochew Strings》, invited by Ars Electronica, Linz, Austria, 2018. Professor Dr Mohd Shahrizal Sunar is the Director of the Institute of Human Centered Engineering (iHumEn) and Founding Director of Media and Game Innovation Centre of Excellence (MaGICX), Universiti Teknologi Malaysia. He obtained his PhD from the National University of Malaysia in 2008. His major field of study is real-time and interactive computer graphics and virtual environment. He received his MSc in Computer Graphics and Virtual Environment from The University of Hull, United Kingdom and BSc degree in Computer Science majoring in Computer Graphics from Universiti Teknologi Malaysia. He served as an academic member at Computer Graphics and Multimedia Department, Faculty of Computer Science and Information System, Universiti Teknologi Malaysia since 1999. Since 2009, he had been given responsibility to become the Head of Department and leading the Virtual, Visualisation and Vision research group (UTM ViCubeLab). Dr Shahrizal is an active professional member of ACM SIGGRAPH, IEEE Computer Society and International Association of Engineers (IAENG). He is also a member Malaysian Society of Mathematics and Science (PERSAMA) and Exco Member of Malaysian Muslim Scientist Association (PERINTIS). 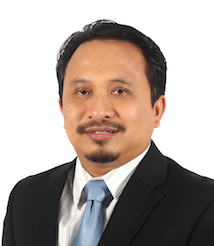 He serves to the government as Malaysia Qualification Agency (MQA) panel of assessor in the field of Computing and Multimedia since 2005. The current research program that he leads is Augmented Reality, Virtual Reality, Gamification, User Interaction and Creative Content Technology. He had published numerous articles in high-impact refereed journals, conference proceedings and technical papers including an article in magazines. Dr Shahrizal had invented a number of innovative products to be commercialised from his research. He was also mentoring technology startup companies and entrepreneurs in his related field. MaGICX becomes a subsidiary company of UTM joint-venture with Iskandar Regional Development Authority (IRDA) where he is the Chief Executive Officer. Dr Shahrizal is one of Ministry of Higher Education CEO@Faculty Programme 2.0 Fellow who attached w­ith Petronas. Dr Alex Fischer is a founding member and Dean of Mahakarya Institute of Arts Asia – the first film school in Brunei Darussalam. He has held academic posts in Australia, Scotland and Malaysia and published on a range of topics including film festival functionality, digital content disruptions and disruptors, the connection between cinematic language and foreign policy with reference to the Qajar Dynasty in the early 1900s and the perception of age in adolescent filmmakers’ films. His monograph, Sustainable Projections: Concepts in Film Festival Management was published by St Andrews Press in 2013. 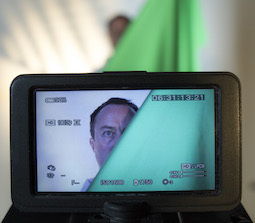 His current research subjects include the economics of film studios in South East Asia, alternative distribution entertainment platforms and screen-based content creation methodologies exhibited in geographic areas with non-extant film industries.